The absolute best way to get your kids to eat their veggies is by handing them a homemade popsicle. The same goes for a healthy dose of fruits. These summer days are long and hot. Homemade popsicles can be a great way to get everyone messy and cooled down (before sending them back outside to the sprinkler). I love smoothies, and most of my kids do too, but having popsicles on hand is easier than making a smoothie on demand. I picked up these fun popsicle molds on Amazon because our previous set was missing pieces and made popsicles too large to be eaten by kids. These disposable molds work great too - It just depends on how 'green' you want to be! Once you get your molds, making the popsicles is easy. You can take any leftover smoothie and freeze it into the molds or you can follow a specific recipe... Let's be honest though, a good popsicle comes from a good smoothie. You may add a little something to make it more special, but either way, your blender is going to allow you to sneak in so many ingredients that your children would normally refuse - so it's a win all the way around. I've gathered my favorite recipes for you to try. Let me know which ones you and your children love the most! Don't forget to add in all the good stuff... I always add chia seeds, flax seeds, maca root powder, probiotics, elderberry, and any other vitamins we need. Avocado, Milk, Maple Syrup, Cocoa Powder, Vanilla, and Salt blend into the perfect fudgey concoction that we love. Avocado, Coconut Milk, Honey, Lemon, and Shredded Coconut make for a popsicle with texture. The coconut really comes out in this one! With too many ingredients to list, this popsicle takes some time and dedication, but man is it good. This one may be made to wow people, as you have to blend each color of the popsicle and then layer them perfectly before freezing. 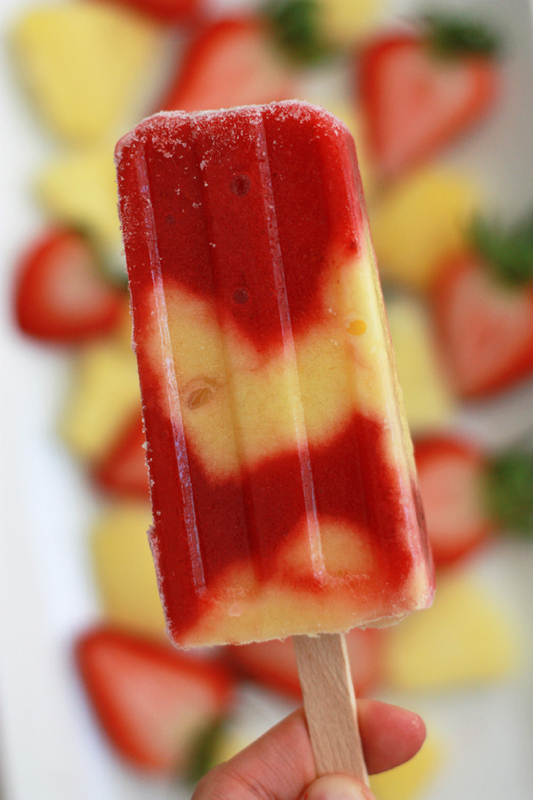 Two smoothies are perfectly mixed to make a popsicle that looks like lava swirls. Pineapple, Mangos, Milk, Strawberries, Orange Juice, and Honey all please the taste buds. Banana, Avocado, and Greek Yogurt make for an easy homemade popsicle! Now you can serve popsicles any time you want! Breakfast, snacks, lunch, dinner -- ENJOY! !